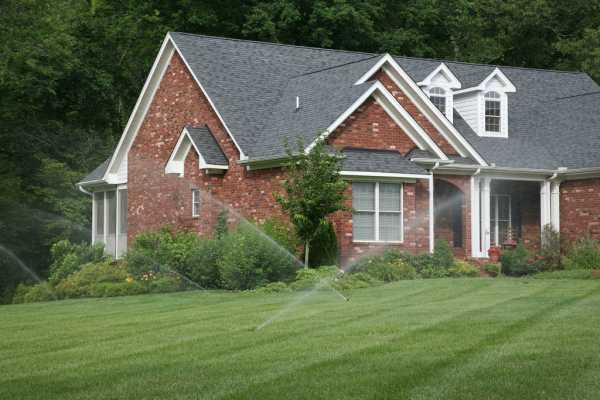 An effective irrigation system for your lawn is a great way to keep it looking green and healthy. Our professionals are trained in up to date processes and equipment to maintain any type of system. This means you will achieve great lasting results. Our team of irrigation contractors is licensed, insured and ready to provide you and your property with excellent customer service and a result that will complete your yard. You’ve worked so hard for your home, it’s time to give back to your investment and make your turf a spot to enjoy for many years to come. Installing a new system is a time saver. Watering your lawn by hand means you spend many hours holding onto a hose and taking away from the time you deserve to appreciate your outdoor space. Most of this water isn’t reaching the roots of your grass anyways when you start watering this way. Most of the water is lost to evaporation and finds a way to leave the area your looking to hydrate. This results in an uneven distribution of water which means… an unhealthy-looking lawn. We know your busy and your minutes are valuable. A functioning system will not underwater or overwater your lawn (which is completely possible). More headaches and issues can arise if your turf isn’t properly being hydrated, from fungus to pests. Potentially, these issues may cause larger problems and more dollars out of your pocket to resolved. A great looking yard is also sure to increase the value of your home. Homebuyers and seekers are looking for homes that maintain themselves and look great. You’ll see a return on your investment if the system is installed by a professional and is successfully maintained. This is our specialty. Contact us ASAP for your quote. Design irrigation at an affordable price. When it comes to having our experts perform the installation, you’ll be happy to know you are ensuring a quality product with excellent results. Watch your lawn thrive! Our solutions are available to match your budget and your needs. Also, we will help to design a fully functioning systems that you’ll get the most out of. Our team will install a system that is evenly distributes the H2O your grass needs. You’ll be able to service your system with us as well. To ensure your set-up lasts for years, we are here to make sure it is running as it should from the start. We are prideful in our ability to educate our customers on how to maximize the efficiency of their system. There may be a time when you’ll need us – we are here for that too! | Copyright Hornsby Landscaping Unlimited, Inc. 2014. All Rights Reserved.